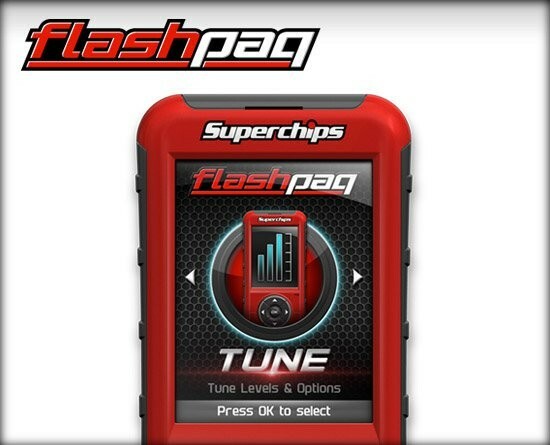 Introducing the all-new Flashpaq F5 CARB edition performance tuner from Superchips. 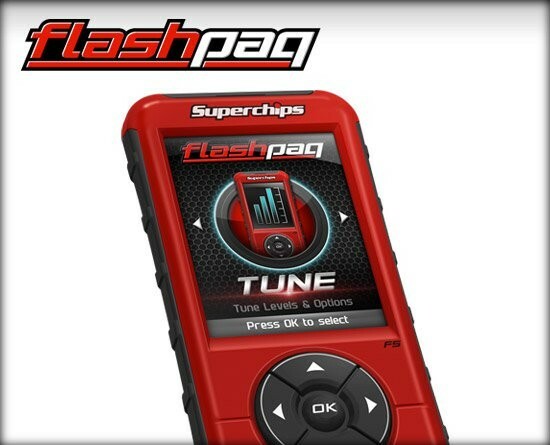 With its new, easy-to-use graphic interface, high-resolution color screen, scan features, and tuning levels, the Flashpaq F5 offers more power per dollar than any other tuner on the market. This product is 50 state legal so you don't have to worry when heading into any SMOG emissions tests. 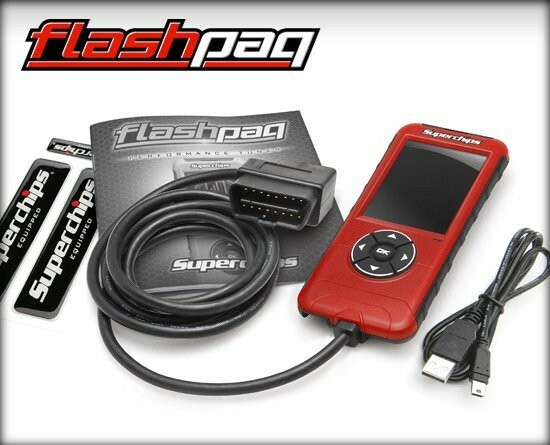 F5 Flashpaq CA is rated 4.6 out of 5 by 10. Rated 5 out of 5 by wthayer69 from Awesome performance!!! I installed this tuner on my 2015 F-150 and HOLY COW!!! I love it!! It gave me a ton of extra power and really changed my truck. After lifting it 7", I added 36" Toyo MT tires. The truck was a little sluggish. Didn't seam to shift properly, common side effect when installing larger tires. With the tuner installed, i gained extra accelleration with better better MPG. I recently traded in my 2015 for a 2016. Its hard to believe but i got better MPG with the tuner installed on the 2015 vs 2016. 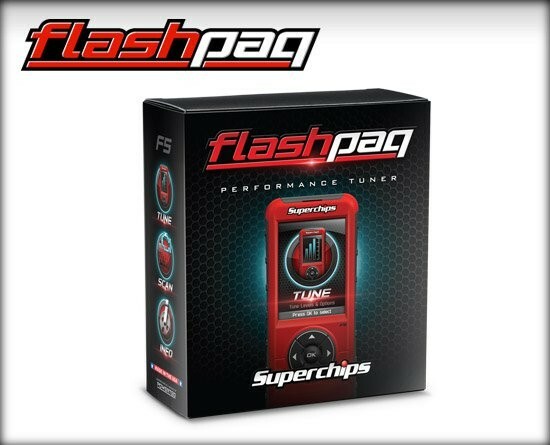 Im looking forward to Superchips releasing the F5 Flashpaq CA - 4845 for the 2016. Thanks for an AWESOME product!! Rated 5 out of 5 by Eric1 from Very user friendly, installed on a 2016 GMC 2500 This is the second program I’ve used from superchips and I’ve found both to be user friendly and the performance of both my 2006 F 150 v-8 gas and 2016 GMC 2500 diesel performed much better. With the pre set settings the trucks pulled my toy hauler without having to worry about damaging the drivetrain. Setting the tire size increased the mpg and I’m very pleased with this tuner. I would definitely recommend it to others. Rated 3 out of 5 by Gray Dulley from Works well I installed it just before a road trip from PA. to GA. Ran well, increased fuel mileage by 1.7 per gallon engine and trans performance was good. I had a check engine lamp come on once .Code P0606 Processor performance code. Rated 4 out of 5 by JRogers from Easy to use I enjoyed the performance package however, it disabled my rear view camera. I reverted back to stock package and tested now camera works fine. I installed the fuel saver package and camera still works fine. I'll try updates and performance package again and test camera. Rated 5 out of 5 by rowedrunner from Worked great!!! Installed the performance tune, changed my shift points, change rev and speed limiter and disabled the annoying AFM system!! More power and drivability and better fuel mileage over stock! Rated 5 out of 5 by Scooter549 from Impressed I bought this unit just prior to leaving on a trip with my truck @ 8,000 lb 5th wheel. I was thoroughly impressed with the setting options and blown away by the better throttle response and significant increase in towing economy of 2-4 mile mpg.. Also a reduction in out of the tail pipe emissions that I had previously been acostomed to. What could I expect to gain overall on my 2008 f150 with a 4.2 v6? I would rather buy a tuner than put myself in debt upgrading to a v8. I also already have a K&amp;N CAI so would the tuner adjust to that and would it help at all? Performance 20HP 28TQ Tow 13HP 18TQ Economy 9HP 13TQ The intake will not require tuning!! Which is the best tuner for mileage increases on my 2015 GMC sierra 5.3 and what can I expect for mileage increases. 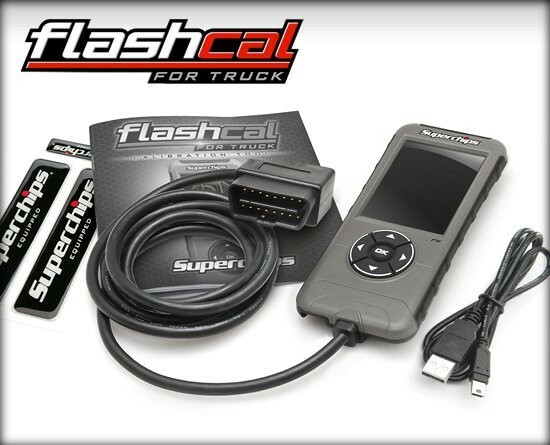 Can you use this programmer on multiple trucks at one time? I have a 2012 Ram 1500 outdoorsman with a 5.7l Hemi. I would very much like to disable the annoying MDS as well as tweak a few more things I am very new to this kind of thing and not really sure which one I should get. Is this the right one for my truck? 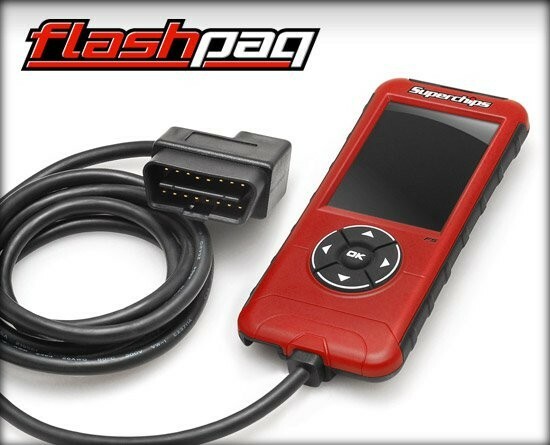 Will this work on a 1999 ram 1500 with the 5.9L/360ci magnum?